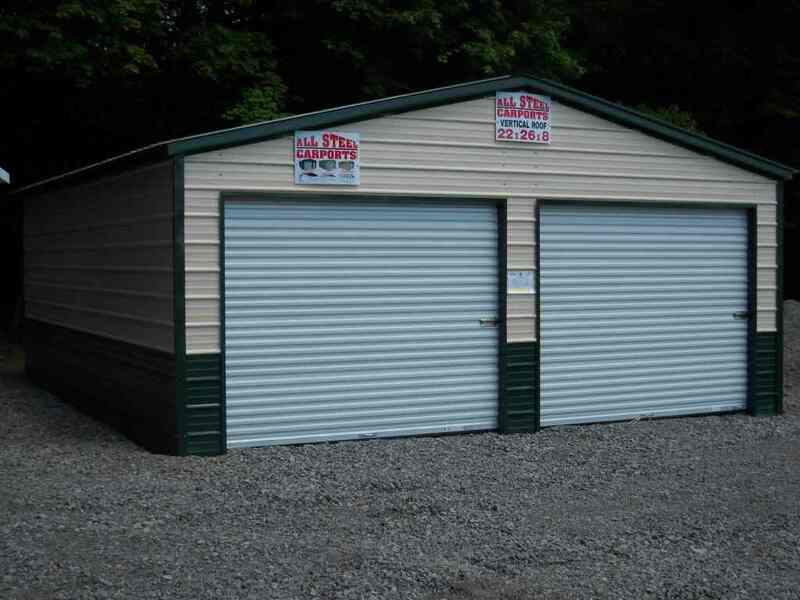 Our garages offer outstanding value when compared to traditional means of construction. 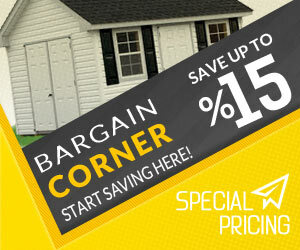 All Steel Carports can build a durable and handsome garage at a fraction of the price of a stick built building. 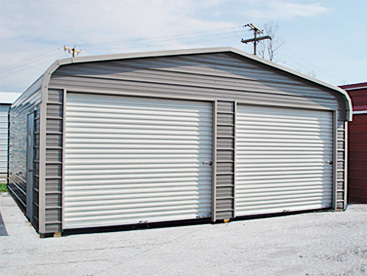 Our steel is either galvanized or rust-proof coated, and will stand up to decades of weather without corroding. 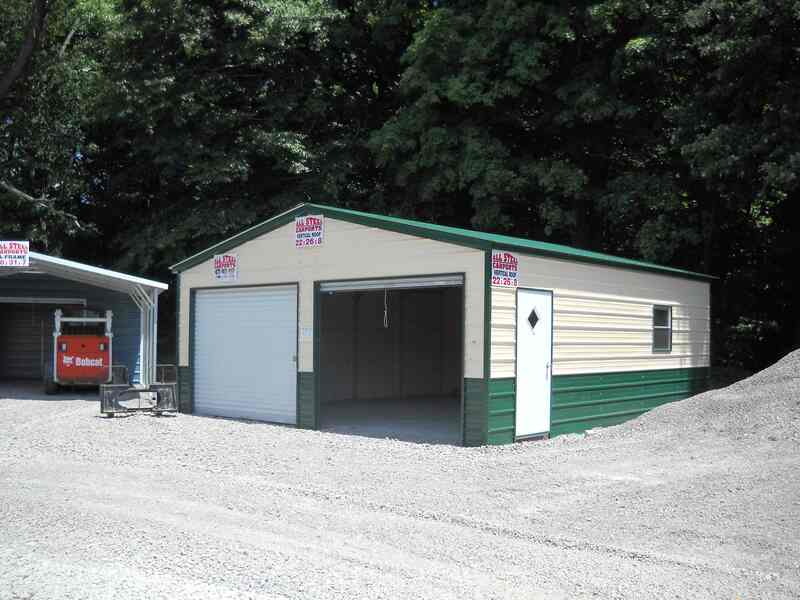 In addition to the longevity and cost, steel garages are also more flexible. We can build nearly any configuration on any surface with options to add on to the structure at a later date, not to mention our countless custom options. 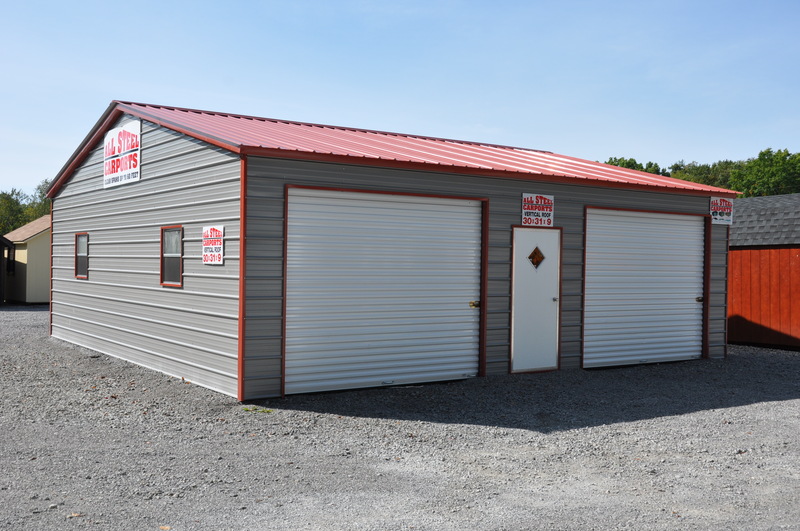 Our buildings can also be taken down and moved much more easily than wood-framed structures. 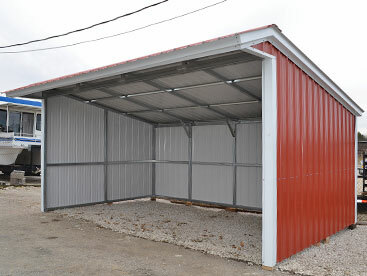 The 22×26 steel Two-Car garage carport shown Here… We can build just about any size you’d like.